Attacked in a public place? Are you the victim of an attack? Act Fast. 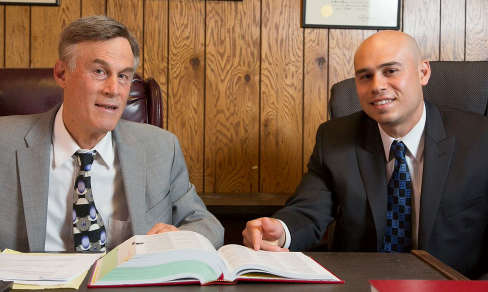 Call Newark's Trusted Premises Liability Attorney for a FREE Consultation. Why is it important to hire an expert Newark Premises Liability Lawyer? The Law Office of Fredrick Schreck settled a case for $160,000 for a high school student that was stabbed in a Newark High School. Newark can be very dangerous place. Often people fall victim of attacks due to security guard negligence or inadequate security. Nearly all of the public schools in Newark are equipped with metal detectors to prevent guns and knives from entering the schools. When a student or teacher is a victim of an attack with a knife or gun, the Board of Education can be held responsible for the injuries of the victim due to negligent school security. Premises Liability refers to the legal concept that owners of residential and commercial property, business owners, and schools are responsible for injuries that occur on their property. Landlords and business owners have a legal duty to provide a safe environment for tenants and invitees. If a landlord is negligent in making repairs or does not build according to code and a person is injured due to his negligence that person may have a claim for damages. What are examples of premise liability cases? The Law Office of Fredrick Schreck settled a premises liability case for $225,000 for a man who was severely beaten when an intruder snuck past security and attacked him in his apartment building in Jersey City, New Jersey. Have you been the victim of an attack in a Newark school? If you or any of your loved ones were the victim of an attack in school contact the Law Office of Fredrick Schreck and our personal injury lawyers for a free consultation. Have you been the victim of an attack in a Newark apartment building? Property owners and residential building owners have a duty to keep their premises safe for their tenants. If an intruder is able to surpass security and subsequently attacks a tenant the landlord and the security company can be held responsible due to negligent security. If you were a victim of an attack due to security guard negligence or inadequate security contact the Law Office of Fredrick Schreck for a free consultation with our personal injury lawyers. At the Law Firm of Fredrick Schreck, our highly competent Premises Liability attorneys will fight for your rights and ensure that you will receive a fair settlement for your Premises Liability case. "For the past 30 years, Schreck Premises Liability Lawyers have been assisting injury victims get fairly compensated for their pain and suffering. Proven history will aid your recovery and get you the maximum settlement."